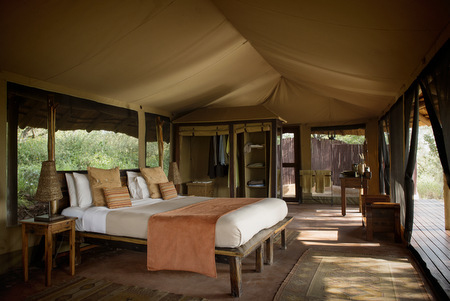 There are only 10 spacious tents, each privately located with a wooden veranda overlooking the reserve. 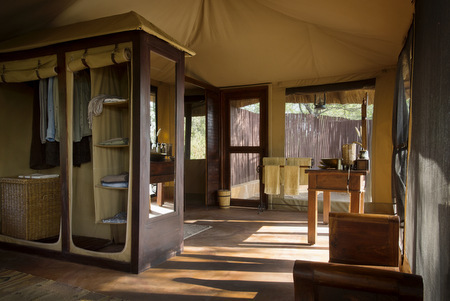 Tents offer double and twin accommodation with a writing desk as well as indoor and outdoor shower. There is a family tent as well as a honeymoon tent for a little extra privacy. 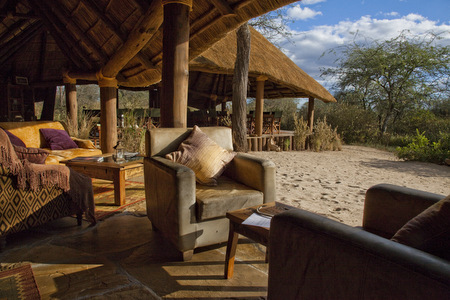 The main camp area offers a comfortable open plan lounge area, leading into the dining room where guests enjoy communal dining. 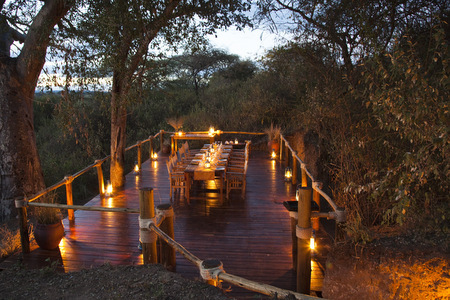 In the evenings pre-dinner drinks are served around a crackling fire where stories are exchanged of the days adventures. Olivers is famous for its walking safaris and experienced guides will lead you through wild terrain of this scenic reserve. 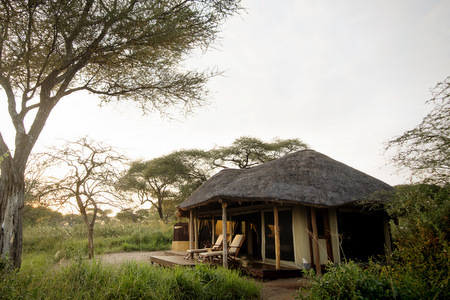 Being located in a quiet area of the Tarangire National Park makes Olivers extra appealing as you can often enjoy sightings exclusively. 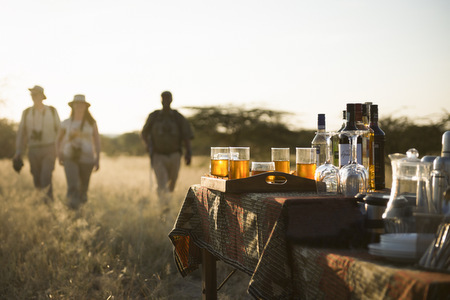 Personal touches along with a friendly team who will do everything to contribute to a memorable experience in the Tarangire National Park. 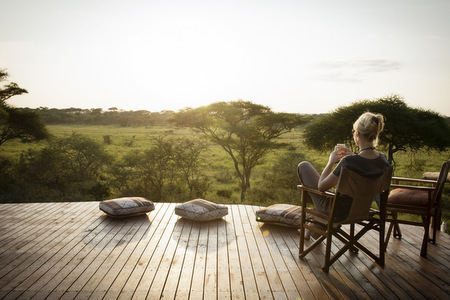 The Tarangire National Park is an easy 3½ - 4 hour drive from Kilimajaro Airport and makes an ideal start to a holiday exploring the highlights of Tanzania. 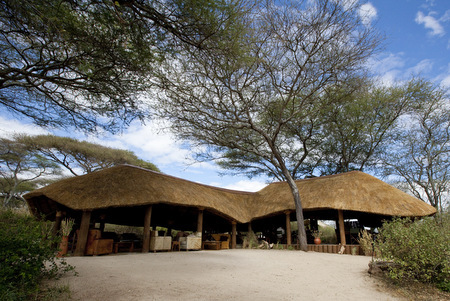 The park is also located with convenient driving from the Lake Manyara and Ngorongoro Crater areas as well. 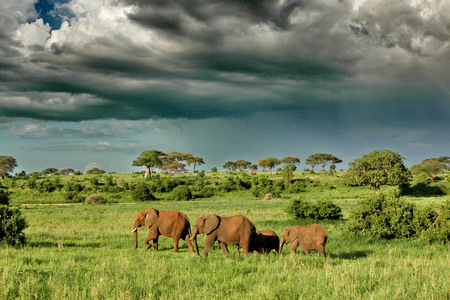 The park is a total of 2600sq km and is a beautiful park and much less ‘touristy’ than the busy Serengeti and Crater regions. 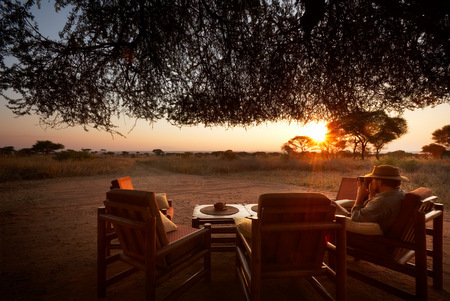 The park offers some dramatic scenery with large baobabs and acacia woodlands making it popular with elephants. Best time to visit the park is from June through to October, although there is resident game all year round and it is great for cat sightings.